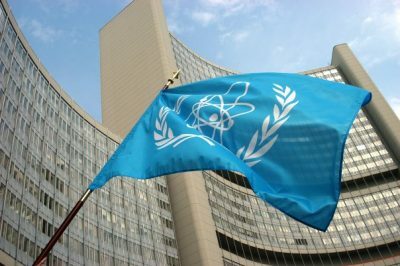 In its latest quarterly report, the IAEA again certified Iranian compliance with the 2015 Joint Comprehensive Plan of Action (JCPOA). Trump wants cooked CIA intelligence to show noncompliance, giving him a pretext to renege on the deal – not easily with IAEA certification. Iran hasn’t pursued construction of its Arak heavy water research reactor. It hasn’t produced or tested natural uranium pellets, fuel pins or assemblies designed for the reactor. Its stock of low-enriched uranium hasn’t exceeded the agreed limit of 300 kg. Its stock of heavy water is below the permitted 130 ton limit. It hasn’t enriched uranium above its permitted “3.67& U-235.” The IAEA has continuous access to its nuclear facilities. Trump’s claim of Iranian noncompliance is false. It’s enrichment activities strictly observe JCPOA guidelines. Since January 2016, the IAEA certified Iranian compliance eight times – the latest at end of August. Last week, Trump’s UN envoy Nikki Haley unsuccessfully tried pressuring IAEA officials to inspect Iranian military sites – what America and other NATO members don’t permit in their own countries. The Trump administration alone among P5+1 nations opposes the JCPOA. If Trump declares Iranian noncompliance in mid-October, America and Israel will be isolated among the world community of nations on this issue. Featured image is from uae-mission.ae.